Christie is bringing the Roadie 4K45 and upgraded Christie Twist software to its line-up at the Live Design International (LDI) show Nov. 21-23. Located at booth No. 1421 in the Las Vegas Convention Center, Christie will also demonstrate the benefits of using automatic projection mapping tools using a 3D digital sandbox and Christie G Series 1-chip DLP projectors. The booth will also display the multiple award winning Christie MicroTiles in a 1-unit by 5-unit display and Christie M Series. 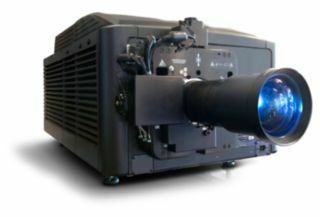 Christie Roadie 4K45 a bright lamp-illuminated projector. Rugged, reliable, and road tested, the 45,000 lumen Christie 4K45 offers a higher level of image brightness for rental stagers to use in concerts, sports events, amusement parks, conventions, live events, annual meetings, casinos, and more. It features Christie TruLife for a clear image quality. The upgraded Christie Twist family presents three options - each for different application requirements. ‘Christie Twist’ software is a free download from the Christie website. ‘Christie Twist Premium’ and ‘Christie Twist Pro’ are paid upgrades and provide additional functionality for more complex projects. For either fixed or rental staging applications including live events, theme parks, and other applications, the Christie HD10K-M, part of the Christie M Series, has built-in image blending and warping capabilities, operates in full portrait mode, and offers a 3D upgrade path. A Christie Spyder X20 will be managing the content.